This schedule is not final until October 1, 2017. If final dates are required please contact me. CHARTER COST: 4 people $36,000; $5,000 per additional person up to 8 total; Double occupancy when available $14,000. 9 day package includes hotel night before and after cruise, 7 days, 6 nights on vessel. All-inclusive except fishing licenses, hard liquor and crew gratuities. 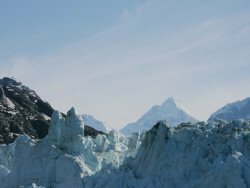 Trips 1 and 2 as a 14 day Seattle to Juneau less 33% off two week cost; Trips 1, 2, 3 and 15 less 15%. Please call Geoff Wilson at (206) 910-7007 to check on last minute changes to our bookings. We may have a cruise on your dates available. 9 day package includes hotel night before and after cruise, 7 days, 6 nights on vessel. All-inclusive except fishing licenses, hard liquor and crew gratuities.